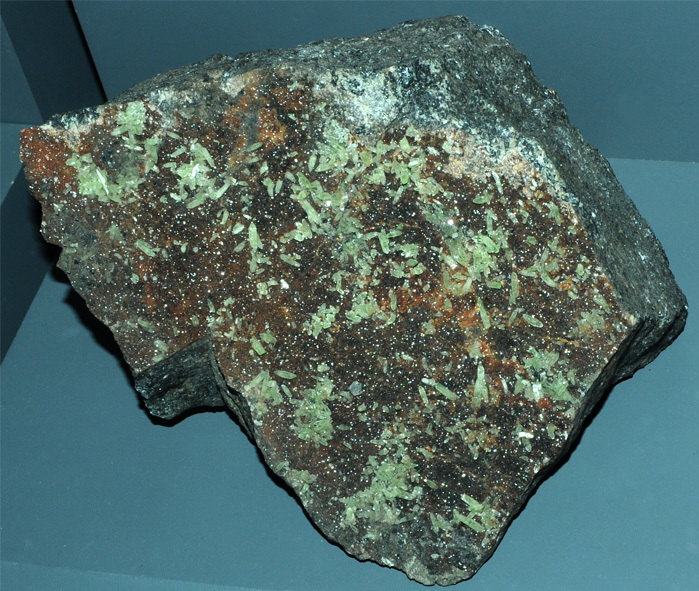 These samples of willemite are displayed in the Smithsonian Museum of Natural History. Willemite is a silicate of zinc with the composition Zn2SiO4. The sample at left below is about 11x20 cm and is from Tsumeb, Namibia. The sample also includes dolomite. 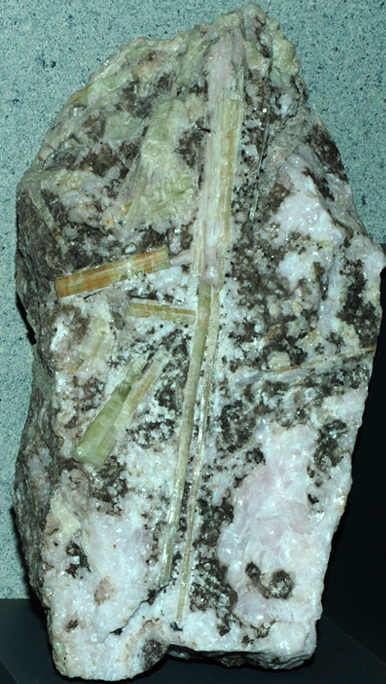 The sample at right below is willemite with rhodochrosite. It is about 12x24 cm and is from Franklin, New Jersey. These samples of willemite are from Franklin, New Jersey. The left sample is about 5cm wide. The gems are 11.1 and 11.8 carats. 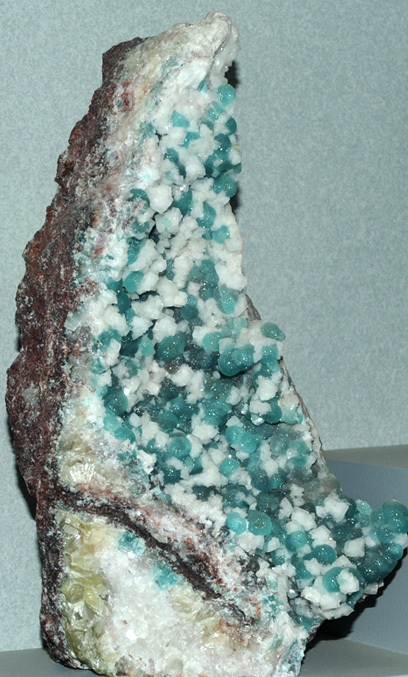 This sample of willemite is about 24 cm across and is from Franklin, New Jersey.